Given my experience the last time I interned, it was no surprise I decided to come back to SocialCops. Unlike the first-day jitters when I entered in March 2014, I thought I knew the drill this time around. After all, there’s only so much a place can change in a year, right? I knew it would be a challenge to shift from my previous role in social media marketing to my new role in business development, but it wasn’t weighing on my head too much. The day went by like a flash, transitioning between meetings and bringing myself up to speed with all that had been going on at SocialCops. Moving from a user-facing to a client-facing profile required a complete understanding of the company’s offerings, so I was juggling time between the data scientists, data parsers, product teams and, rightly so, the business development people. While that would ideally sound like a first day log, I hadn’t come to the most stupefying part of my day yet. Late in the evening, I was pulled into a room with the sales team. Before I could even process my thoughts let alone calm my nerves, I was pitching before the entire team, the founders and the board, some of whom had pitched to the likes of the late Steve Jobs. Then I, a measly intern, was made to sit on the other side of the table to critique the pitches of my former audience members. While people may sign off with fancy designations, there really are no hierarchies at SocialCops. And, with that pitching session done, what was anything but a normal first day was a wrap. The next morning, I felt a lot more confident given the developments from the previous day. I thought to myself, “It’s all going to be downhill from here”. What were the odds of that not happening? As it turns out, very high. On my second day as an intern, I was writing contract proposals on big data. But it was not for just any company — it was for one whose privilege customer card I hold. The sheer number of times I’ve used the word “but” in what I’ve written so far would tell you that the saying “Expect the unexpected” — as passe the saying may be — is quite befitting for the work environment at SocialCops. My first week was power-packed with unparalleled learning. Comparing the experience of my first week in 2015 to my first week in 2014 would be as difficult as asking me to compare our world to the fifth dimension. I find this particularly hard to do because what was only a Earth-year-long gap between my two stints with SocialCops was a Martian year in the startup space. How to compare disproportionate time frames for the same world is a question best left unanswered. We’re currently hiring interns to help our team with some exciting projects. Think you’d be a good fit? 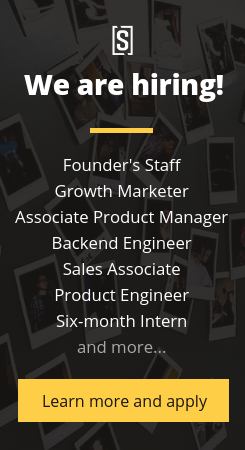 Check out our open internship positions at here. Enjoyed travelling your journey through the maze of your words. Seems like an action packed place !